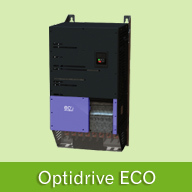 Rich in features the Optidrive E is the most commercially competitive Optidrive in the Optidrive family. Innovative and compact the Optidrive E range combines good looks with robustness, reliability and easy to use performance. 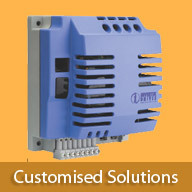 The ultimate drive for harsh environments. 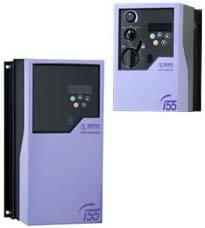 The IP55 / NEMA 12 enclosure drive has been designed to expand the success of the Optidrive E2 and Optidrive Plus 3GV product range. Expanding on the success of the Optidrive E2, IP20 and IP55/NEMX 12 products, the Optidrive E2 IP66/NEMA 4X is ideal for food and beverage as well as pharmaceutical applications. 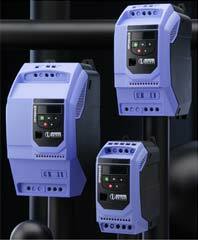 The IP66 / NEMA 4X enclosure is a cost-effective, washdown duty Optidrive for low power situations. 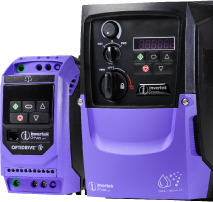 Ready for high-pressure washdown, the IP66 / NEMA 4X can mount directly on your processing equipment. 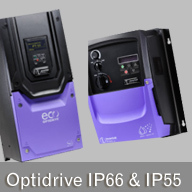 Available for all Optidrive E2 variants up to 7.5kW/10HP in 3 physical frames sizes. 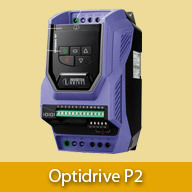 The Optidrive E2 Single Phase is the world’s first fully digital, fully packaged variable speed drive for controlling low power single phase motors. 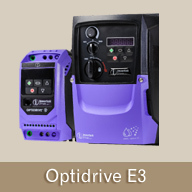 Designed to be cost effective and easy to use, the Optidrive E2 Single Phase is for use with PSC (Permanent Split Capacitor) or Shaded-Pole Single-Phase induction motors.